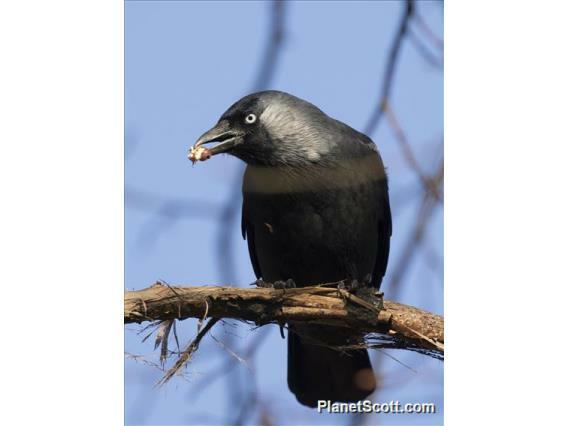 Eurasian jackdaws are true construction workers. They like to build their nests in cavaties, such as hollow trees, chimneys and roof gutters. Sometimes, a chimney is totally filled with branches in order to produce the desired nest. Such nests can be enormous. The top is always neatly finished with soft materials. Jackdaws are social and very intelligent birds. Pairs stay together their entire lives. They have adapted entirely to humans and eat whatever they can get hold of, from seeds to grains to French fries and cat kibble. They gather in large groups in the evening to sleep. You can hear them babbling from a far distance. About 100 of them seen in a small town west of Tuva. Not sure of the ID, I was in a moving car. On the roof next to the hotel. Also, in the airport.